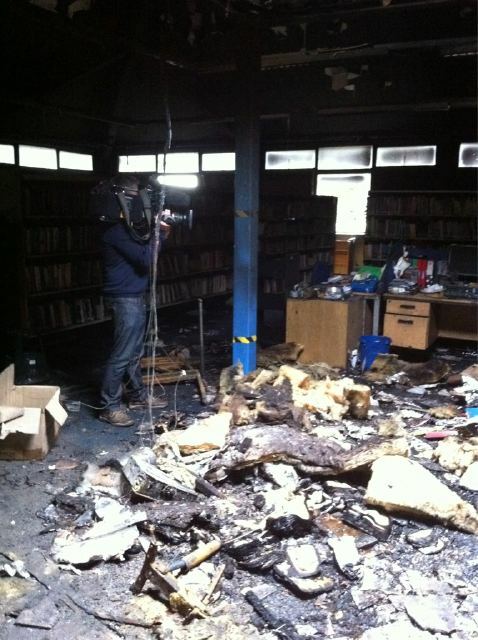 Torched Salford City Council library stock. Photo Credit. The above quote allegedly came from a Waterstone’s employee during last night’s riots in Manchester. The phrase seems to have entered the realm of urban legend to some degree, in the sense that its exact source varies from account to account, but what is interesting to me is the extent to which it clearly resonates with people. I have lost count of the amount of times I’ve seen it retweeted or reblogged on tumblr since yesterday evening. Unfortunately, each of those times has only added to my vague sense of discomfort and concern with what exactly is being said here. First of all, I wanted to say that I’m going to pass on commenting on the riots as a whole, mostly because there are times when it’s a better to shut up and listen rather than join the race to be among the first to have opinions or offer insightful commentary. The latter is completely beyond my abilities – I simply don’t know enough about what’s going on here to say anything of use, so instead I’ve been reading different perspectives and thinking and trying to understand. The term “understand” can be misconstrued in this context, so let me clarify: it is not a synonym to “excuse”. As this very smart nerdfighter and vlogger put it, everyone begins these conversations with an attempt to distance themselves from the acts of looting and starting fires. We shouldn’t have to do that, but we do it anyway because we’re so worried that acknowledging that nothing happens in a vacuum will be confused with sympathising with horrible actions that hurt real human beings. However, as the two are not one and the same it shouldn’t be necessary to take this disclaimer any further. I will now return to the opening quote, which is supposed to be what this post is really about: first of all, it can be read as humour in the face of adversity, which is a very human and very understandable reaction. I think it was in this spirit that many people retweeted and reblogged it since last night, and goodness knows I needed some humour myself as I saw images of my everyday streets turned into a warzone. All the same, I’ve always believed that something being a joke doesn’t mean we can’t analyse it or think about its implication, so that is what I’ll try to do here. The quote is an acknowledgement that there’s a huge disconnect between literacy and education and antisocial acts such as looting. This is sad but true, and there’s nothing wrong with pointing it out. However – and this is where I start to worry – it’s simultaneously an acknowledgement that reading is often a marker of class distinctions. The speaker realises that a bookshop is not the sort of place that will be looted because the looters are not “our” kind of people – the kind of people who read. If they did loot it, well, maybe that wouldn’t be such a bad thing. Maybe books would be a ticket to the other side. Again, there are multiple ways in which these ideas can be read: one is as an expression of faith in the power of literacy and education, which I’m obviously all for. Another is as a rather less idealistic expression of contempt. It’s telling someone to get an education because you know they won’t. It’s holding up books as a symbol of something that is both desirable and completely beyond their reach. This worries me as someone who cares about books, and it especially worries me as a future literacy professional. It worries me because I have spent the past year considering the many ways in which spreading literacy is not easy. Unfortunately, simply throwing books at people – or jokingly inviting them to loot them – is not enough. Initiatives like World Book Night are wonderful, but as many of the people involved this year reported, there’s a real danger that you’ll end up preaching to the choir. Obviously making books widely available is a first step without which nothing else can follow. Expose people to books, to literacy, to education, by all means. But then what? How do you keep them from deciding none of that is for them and walking away? The quote worries me because although it’s an accurate reflection of reality, it also reinforces the already troubling strong association between books and the middle class. It reinforces the idea that books are not for “us” (if you’re “them”), they are for “them” (which is “us”). If “they” adopted our habits, none of this would ever happen. Which is not necessarily untrue - and yet. This touches on several hugely complicated ideas that I can’t pretend to fully understand. I can’t pretend to understand working class culture, the exact socioeconomic environment these kids come from, or the mentality behind looting. But I do know this: we need to remove perceived barriers to literacy. We need to quit holding up books as a marker of status while still highlighting the clear educational advantages of literacy. I honestly believe with all my heart that reading is good for people. I wouldn’t have gone to library school during an economic recession, which means I’m likely to end up jobless and in debt for years to come, if I didn’t strongly believe it. But I also know there are effective and ineffective ways to sell the idea that reading is good, and I worry about where exactly on that spectrum the above quote falls. In these groups of families, the world of books is seen as unwelcoming to the outsider. Books are associated with hard work in school, seen as unattractive unopened objects – and to an extent anti-social. Reading (and this not just a point about books) is an individual activity, in the main. These are families who like to relax and share their leisure time as a unit. It is not that they do not aspire to a more privileged world of reading. It is more that they see reading as for people ‘who don’t know how to live’; they do not aspire to be like them. It is not surprising that libraries and book stores do not feature strongly in the lives of these families. This attitude to reading is a challenge. But a bigger challenge is the one that confronts the person who decides they do want to read a book – when they enter a book store or library for the first time. Selecting a book is a major obstacle faced by people in the ‘HarperCollins’ research. These are not families with literacy difficulties: they just do not read much. The codes and references that set out where books are to be found and that define their contents are off-putting to those who do not use book stores and libraries regularly. (In the survey, the shop most visited was one of the most accessible on the high street, WHSmith). For some in the survey, entering a bookstore is like entering a party where you don’t know anybody. It’s acutely anxiety-inducing. Book stores and libraries are a lot more user-friendly than was once the case, but there are still major opportunities to think further about engaging more readers by understanding the perspectives, interests and outlooks of those not currently browsing their shelves. The same must be true of publishers themselves, exploring new ways of presenting reading to expand the market. This seems to me a fairly accurate representation of the mindset that might lead someone to think nothing of setting a warehouse where a city council stores library stock on fire. It doesn’t lessen the indignation many people feel when confronted with something like this, and I’m not saying that it should. It doesn’t mean we have to like people with this mindset – I know I probably wouldn’t. But it’s nevertheless something that gives me pause. Last but not least, let me say again that I understand that people are distraught and angry and in need of verbal outlets. I have many friends in London, and since Saturday I have feared for them. When the riots spread to Manchester last night, I feared not so much for myself (I am lucky enough to live in an unaffected area, which, again, is not entirely coincidental), but for a place I’ve grown to love in the past eleven months. I’m horrified that people lost their homes or businesses, that library books were burned, that the PIAS warehouse fire might put indie music labels out of business. And yes, I do believe that a world where more people read (and had access to all that reading currently implies) would be a world where things like this would be less likely to happen. But how do we bring about such a world without reinforcing the idea that books are for “us”, and “they” will never be one of “us”? ETA: Similar points, but far better worded, from Nikesh Shukla. Thank you for vocalising my unfinished sentences about why I'm not writing anything. Your thoughts have helped me just as much as any I've read in the broadsheets. Like minded thoughts written so eloquently. Yes, thank you for this post. I do understand where you're coming from Nymeth, and what you want to say. But there are other dimensions to this. It seems that a proportion of the rioters belong to the EDL, a far right organisation doing their best to cause a lot of violent trouble. These are people who are often perfectly well educated, only they have aligned themselves with neo-Nazi ideas. The quote is in part a suggestion that such people learn something about history, or even just broaden their ideas. It IS really hard to promote literacy but the divide between 'us' and 'them' is about far more than just reading, or at least in this country it is. We've been hidebound by issues of class for centuries, and they have many implications. What troubles me about this comment is how many ways it can be interpreted. I agree with litlove in many ways that some of the violence and looting that we're seeing, which is outside of the reason behind the initial protests has been politically motivated. However, your explanation of "us" versus "them" applies to those creating havoc for political reasons, since we're not able to sit and talk views over but instead choose to destroy parts of society to somehow better an organization or ideal that we belong to/ascribe ourselves to. Beyond the issue of literacy and book-culture, I think there is a larger issue that this feeds into. That issue is one of politics and life choices made. This is where I feel like you could interpret contempt into that quote. And now I'm going to stop talking. I think I have a different reaction to this because I was raised working class and have now crossed over into white collar work/world. I find myself feeling offended at the mere idea that the working class doesn't read. All of my working class family reads extensively. My dad repeatedly told me growing up that knowledge is power, books need to be treated with respect, and reading is the best way to spend your free time. Just because we were poor, had a working class dialect, and couldn't afford to own many books does not mean we didn't read or respect literacy. On the other hand, I know lots of highly educated (mostly male) people who do not read for fun at all. Also, reading a literacy do not have a direct correlation to who will get violent or not violent. Anyone can participate in riots. You just have to look at the riot in 2004 in Boston when the Red Sox won or the riot this spring in Canada when the Canucks lost to see that people in highly educated areas of cities riot too. You know what leads to rioting? Generally a sense that something has been stolen from us that we deserve combined with alcohol. Past that the mob mentality takes over. (This has been extensively studied by psychologists). The main difference between this and the sporting event riots is that these people are suffering constantly. When you're poor you are under constant stress and worry. All it takes is one person to snap from that for a domino mob effect to occur. Sorry to get a bit ranty on you, Nymeth, but as I said. My working class, uneducated family read more than many of the educated people I know in Boston, and I find it offensive that anyone would correlate education to non-violent behavior. It's not about how literate someone is. It's about how oppressed they are. I don't know what to make of all of this either, partly because I'm not sure how accurate the news reports we get on this side of the pond are. I do think reading helps people empathize with others more, but I'm not sure it would prevent this kind of action. I think sometimes people just get caught up in the gang mentality of it all. Wow. Very well put, Ana. I agree, we need to remove perceived barriers to literacy. Litlove: First of all, please don't apologise for being argumentative! I'm actually really glad to hear your thoughts on this. You're always so insightful, and you know so much more about the history and social context behind this than I do. As an outsider and temporary resident, I really struggle to make sense of what's going on. I completely lack the history and the context. I actually hadn't heard about the association between the riots and the EDL before :\ If you have a link where I could read a bit more about that, I'd be very grateful! You're absolutely right that there's much more than reading to the class divide - I wanted to focus on that aspect of it in particular, but of course it doesn't really make sense to think of it in isolation. Also, I want to say that I'd absolutely never judge anyone for seeing the humour in this, especially at a time when people desperately need something to laugh about. But I can't help but worry about anything that reinforces the idea that reading is for some but not for others. I have absolutely no idea what can be done about it, but this is part of the process of me trying to make sense of it out loud. I can see how my timing was insensitive, though, and I really apologise for that! Lena: Please don't feel like you have to stop! This is certainly about much more than literacy and book culture, of course. I wanted to single out that angle in particular, but in retrospect I see how that wasn't such a good idea. Amanda: Don't be sorry! I knew this was going to be a somewhat controversial post, but I'm sincerely interested in hearing what other people have to say. 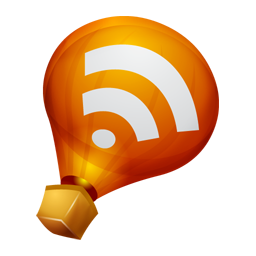 You have all helped me clarify my ideas, and that's something I truly appreciate. I completely understand why the idea that the working class doesn't read offends you, and that's actually part of what worries me here. The more entrenched that idea becomes, the more reasons people have to be resentful. I agree with what you say about the close links between rioting and oppression, but I've heard so many conflicting accounts of what's going on that I wanted to try to leave the whole issue of causes alone for now. Political rioting certainly doesn't go hand in hand with lack of education, but that quote assumes that what's going on is not exactly that - it's people who are disenfranchised doing this because they have nothing to lose (which of course is also political, but in a different way). Like I said, I don't know enough about this to decide who I agree with on the whole causes issue, but for the sake of this argument I took that reading at face value because it's only in that case that this quote and its implication make sense. I'm very, very sorry for having offended you, though. Like I said, I completely understand why you resent this association altogether. Joan Hunter Dunn, Emily Jane, Kathy and Brenna: Thank you for your kind comments! I agree about people getting caught up in gang mentality. But more than empathy, I think the whole issue of literacy and education is important because of what it implies in terms of people's investment in society and in their own future. Perhaps I'm naive, but I can't imagine someone who feels they have something to lose getting involved in this. It is so nice to read something on the issues the event has brought up rather than just on the very basic and very typical good v. evil dichotomy people like to set up. Great post! This post - and your responses to the comments posted thus far - proves that you are in the right field. (Not that I had any doubt!) The concerns you raise here are crucial, and they are questions everyone in a literacy-related profession should face and strive to resolve. My heart bleeds for you, Ana. I hope everything calms down over there soon. I know I'm thousands of miles away, but if there's anything I can do, let me know. Very interesting post, Ana. I worked with disadvantaged four- and five-year-olds for four years. We did home visits and we had a lot of required family involvement for the program. What I discovered is that in a lot of these homes they have never seen a book. They can quote stuff from The Sopranos and KimPossible but they have never experienced having their own book. It is sad because they could be using the free public library, they could be buying cheap used books instead of paying for cable TV in the home. These kids were not only disadvantaged economically and through disabilities, but they were disadvantaged socially and mentally because they never received experiences that so many of those of us raised in middle class took for granted. I think that there are better ways to protest and show disdain than looting and I think they are using the shooting as an excuse to loot, and it is sad that these are stereotypes of people who don't have those books at home. Really really fantastic post Ana. I love it. I hate the 'us' vs 'them' that keeps dominating these discussions. I definitely feel very behind on the news and can't really comment much. I guess what I'm just so sad about is when I hear the interviews with people who have lost everything and really weren't involved. The bystanders. I hope they'll find some comfort some way soon. Thank you for this post Ana. Excellent post, Ana. I agree that the above quote does sound very elitist. Iliana~It seems like it's always the innocent bystanders in these situations that are hurt the worst. I have to disagree; if course there's a difference between "them" and "us". A bookshop would be the first place I looted, wouldn't you?! Seriously though, great post, very valid points and it never fails to wow me how open you are to understanding and learning. I think the quote made a lot of us smile just because the rioting was so shocking and unexpected. But the issues here are complex and I think most realise that we need to dig deep into our society to understand why this happened and simple short-term solutions such as cutting benefits won't solve the problem. Anyway, I'm not going to go on about it here. And I do think you had a valid point as well. I'm just SO glad that you are ok. It's been a frightening few days and I'm just glad it's slowly returning to normal. I'm glad to hear your take and everyone else's here, because I've been wondering, as much of the world has, what's driving this. The way literacy can seem exclusionary has always bothered me, too. And not just basic literacy, but what's good about so-called "great books" is too often presented in what I think of as an exclusionary way. It's not enough just to get people reading anything. I want to interest more people in the kind of books that make me think about big issues, to the extent that I'm capable of thinking about them. This was a very thought-provoking post. I had never really considered the issue before, but you make some really good points. Books and reading shouldn't be exclusionary at all, and it's sad that they sometimes are. This is such a fascinating post and I love the discussion it has provoked. Regardless of what class you're from or whether or not you were raised as a reader, there's always an opportunity to turn your life into whatever you want. Reading should never be something that's withheld from a group, it should be a doorway into whatever life you want, a way to gain more knowledge, not to keep groups separated. Wonderful post, Ana! I was reading in the evening a couple of days back and my dad was watching the news, when I heard that there were riots in London and in many places in England. I was surprised and went to the living room and watched and what I so was shocking and sad. I couldn't believe what I saw. I remember the rioting that happened in Paris a few years back and this seemed to be even worse. It felt really scary watching the news. Glad to know that you are safe. Hope things are calming down at Manchester. Please take care of yourself. I liked very much the comments of litlove and Amanda. I could relate very much to Amanda's comments. In my own home my dad has done his Masters at university but he reads just the newspaper, while my mom had only finished high school, but she was a voracious reader. Luckily my mom passed her genes on to me. I hope and pray that the situation calms down in Manchester and all across UK. Ms Nymeth - I really enjoyed what you had to say. I think people, in a situation like this have a tendency to want to reduce it to a 'right' and a 'wrong' side, where there really isn't one, and when I read the quote you were talking about in this post, I had the same uncomfortable feeling. Its one that has been hard for me, generally, in the bookish world - this feeling like being a reader is something that makes us special or superior, you know? Also, it has always amazed me how many middle- and upper-class families also do not have any books in their homes - unless they are there for display/decorating purposes. Or how many people (I know a lot of right-wingers who do this) who read one book in their lifetime (usually one by Ayn Rand) and consider it the answer to all life's persistent questions. Mumsy - I completely agree with you. Libraries are great (and I'm not just saying that because I work in one!) but kids need books in their home, too. And of course families are not going to spend rent and food money on books, especially when that money barely covers food and rent. Organizations that help out with food and other necessities need to include books on that list. Mumsy and Emily, I actually agree with you completely. And I promise I'd never say, "But they can go to the library!" because yes, you're completely right about the intimidation factor. That's actually a big part of why the quote made me uncomfortable. I understand people's need to laugh to get their mind off things, but I worry that it actually strengths the intimidation and discomfort factor. Also, you're of course right that education or literacy can only be a gateway to a better life if it's accompanied by several other social measures. Books alone can't do all that much, unfortunately. To everyone: Thank you for your thoughtful comments. I've come to really regret writing this post in such a hasty and insensitive manner. I didn't think it through enough and ended up saying things that are the opposite of what I actually believe in. I don't believe literacy can be isolated from all the other social factors that surround it, and it was clumsy and shallow of me to try to consider it in isolation. I don't believe reading alone can change the world. I don't believe generalisations about literacy and class are ever fair or even helpful. I won't try to retract what's already been said, but I wanted you to know I really appreciate that those of you who disagree with me engaged in such a thoughtful, respectful manner. I've seen conversations about this topic in other contexts slip into hostility or defensiveness, and I love how that rarely seems to happen among book bloggers and book blog commenters. Thank you all! I actually wasn't going to read this post because the title sounded too us vs. them elitist, but I'm glad I did, because as usual you are thoughtful, compassionate and insightful. My husband lived in Birmingham as a teenager and was involved in the sketchier side of things there, drugs, etc, so he always teases me when I idolise Britain as this cosy idyllic highly literate Beatrix Potter / Brideshead Revisited sort of world. He's not quite as surprised by all this, since he saw the darker criminal side there (and was quite glad to move away) and from the sounds of it, it's only gotten worse since. My heart goes out to the people who feel they have no options aside from violence (and to everyone else living through a difficult economic situation made more difficult by the riots). Maybe I don't know enough about the situation, but it seems like some empathy (as you're showing, I think) rather than harsh condemnation that refuses to understand the other side's point of view, would be helpful. I once read the beginning of Val McDermid's book The Grave Tattoo, where a grad student is living in council housing and trying to get a young girl there interested in books and away from that darker life. It sounded pretty bleak, much worse than anything I've experienced. My husband's been reading Hackney, That Rose-Red Empire by Iain Sinclair about the social history of a poorer part of London (haven't some of the riots happened there?) that's being demolished for the Olympics. Perhaps it's time to let go of the nostalgic image of a perfect literary mecca Britain and accept it as it really is, problems and all. Nothing to add except it's good to hear that you're all right up there. Take care. Nymeth - bless you for being so accepting to my comment. I can't find the link I wanted to share with you now (silly internet) but it was proving me wrong too, and saying that what was peculiar about these riots was that they involved people from all walks of life - teachers and students and professionals as well as the unemployed and marginalised. It will take a long while, I think, to get to the bottom of what happened, and I just hope that someone out there has the patience to try. I can see a lot of things I agree with in your post and in the comments about class in the UK. Maybe the best thing I can offer is to say that as I see it the working class in the UK, much like the middle class, is made up of a whole bunch of smaller class stages where lots of variation occurs. So, for example I've got friends who would consider themselves working class who don't really resemble a lot of the portraits of working class that get represented in the media. I think the media focuses on the working class minimum wage section of society, while I have friends who would consider themselves working class and earn less than 15 grand a year, but earn more than minimum wage. The way literacy and books impact their lives may be significantly different to the way it impacts people who earn less (and therefore live in different locations, with different educational opportunities...on and on and on). Even within the people I know who fit that socio economic group there's variation on how much they read and how comfortable they feel exploring the book world. I think this rings true with me though: 'It is more that they see reading as for people ‘who don’t know how to live’; they do not aspire to be like them'. You'd never get the people I'm thinking of being uber fannish about things like the book blog world is. They like reading when they do it, but to put reading at the centre of their lives would probably seem strange to the friends I'm thinking. Like litlove I've also heard that the EDL got involved in the later stages of the riots and I saw some news shots that certainly implied racist behaviour was part of some peoples riot motivation (white men throwing eggs at black men on the top decks of buses)which is why in that email I said the riots had become a medium for opportunistic violence, even though for many others thats not what they were about at all. That's the thing, there were so many different factors that created and then kept the riots going for so many different people and hearing people say 'it was all this' or 'it was all that' is too simplistic. Of course politicians would love to be able to say the rioters were all of a profile that, as you say allows others to distance ourselves from them, but we've got to be careful not to let them appropriate our own liberal politics, twist them and use a dishonest picture to distance us from people who are more like us than Cameron could ever be. Gah again with the ranting. Ending with a suggestion that you might like this new book: http://www.amazon.co.uk/Chavs-Demonization-Working-Owen-Jones/dp/184467696X about the way the working class has been demonised in recent years. Got to get to it asap. Interesting post, Nymeth (also from the commenters) to which of course I'm late. The main thing which was flagged up in my mind reading your post was a line from the Manic Street Preachers' song Design for Life, which states that "Libraries gave us power", particularly for the working classes who previously had been denied access to the education which reading brings. The song contrasts this aspiration towards education and empowerment of the working classes with how they're regarded by others in the system.